Your 16 GB iPhone continuously prompts you “Storage Almost Full”? Can’t take a photo because this is not enough available storage to take a photo? There's nothing more frustrating than your device is getting full and you don’t know what is eating up your device storage space. Below, we will show you how to see what is eating up your iPhone, iPad storage capacity helping you to clear them efficiently. When your iOS device is almost full, the first thing first is going to Settings to see how much storage you've used. Tap Settings > General > Storage & iCloud Usage > Manage Storage. And you’ll see a list of your apps, and how much storage each one uses. Tap on each apps you can see more details. Connect your iPhone or iPad to iTunes, and select your device in iTunes, you’ll see a bar that shows how much storage your iOS content uses, divided by content type. The audio is the songs, audio podcasts, audiobooks, voice memos, and ringtones stored on your device. The Video is the movies, music videos and TV shows stored on your iPhone, iPad. Photos include the Camera Roll photos, Photo Stream, and Photo Library. Other consists the Settings, Siri voices, system data, and cached files. 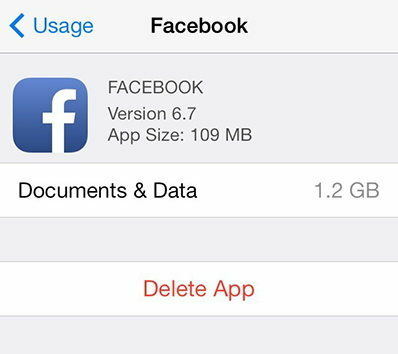 Don’t want to delete your precious photos, favorite games, videos to get more space on your iPhone, iPad? Tenorshare iCareFone (iPhone Care Pro) offers you the easiest way to see what eats up the storage space on your iPhone, iPad and offer you a quick way to delete all unwanted data within 1 click. Now let’s see the details. Download and install Tenorshare iCareFone (iPhone Care Pro) on any computer you can access. Run Tenorshare iCareFone (iPhone Care Pro) and connect your device to that computer. When the program detects your device, go to the section of "Speedup&Clean", then click "Quick Scan". Now you can see a list of files, including junk files, temp files, photos, large files and apps, that Tenorshare iCareFone (iPhone Care Pro) have scanned and cleaned. To clear them, simply click on “Clean” button on the right. Tenorshare iCareFone (iPhone Care Pro) will help you clear all unwanted files and free up your iPhone, iPad. That’s how to see what takes up your iPhone, iPad storage capacity. Just free download Tenorshare iCareFone (iPhone Care Pro), and you can easily find out and clean all unwanted data instead of deleting your previous photos, games or videos.